I was lucky enough this week to be among the first to experience Crazee Burger at their new digs, at the intersection of 30th and Lincoln in North Park — the new location just had it’s “soft” opening on June 17. 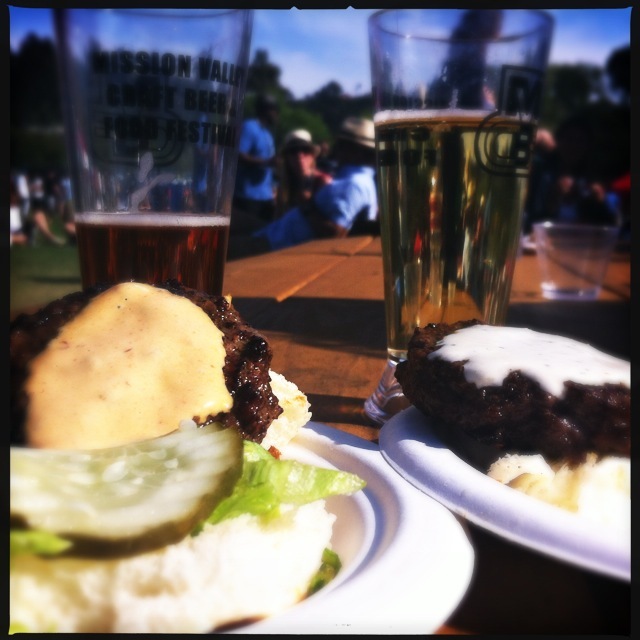 I have to admit that I came late to the party — I never visited the old location, and the only time I ever had Crazee Burger previously was at the Mission Valley Craft Beer and Food Festival in April. My boyfriend and I took complete advantage of the “unlimited” tastings and had — let’s say, more than one — of the Kobe beef, wild boar and buffalo sliders. One of my favorite things about Crazee Burger — come on, everyone loves the fact that you can eat things like elk, camel, kangaroo and ostrich, in addition to their many specialty beef burgers — is their sauces. 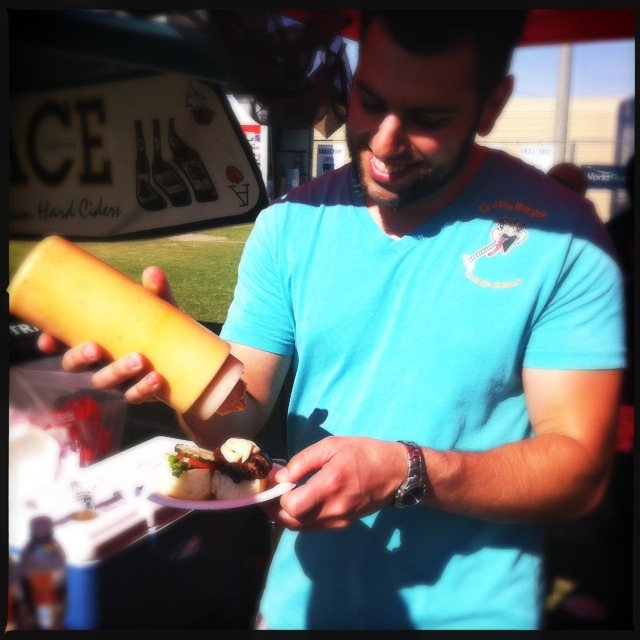 The sliders we enjoyed at the festival were topped with creamy horseradish and chipotle, and their many specialty burgers are topped with inventive sauces perfect for pairing with rare meats. For example, their Gator burger is topped with a curry fruit tapenade, their duck burger features a white wine/hoisin reduction, and the turkey burger is served with an orange marmalade glaze. 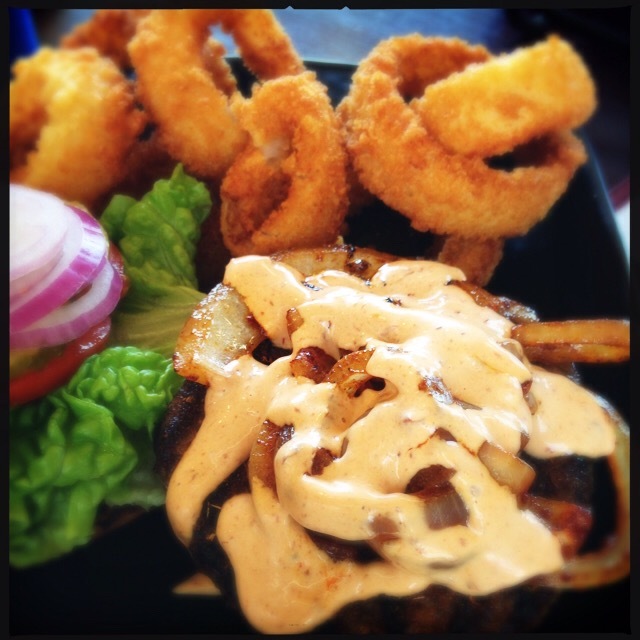 The Cajun burger I enjoyed (which has a spicy blackened beef patty and sauteed onions) is topped with a delicious – but spicy! – smoked chili sauce. If “exotic” elk, duck, buffalo and ostrich isn’t your bag, you can choose from a huge number of specialty burgers, all made with top-notch organic beef. I basically need to find an excuse to come back here at least 10 more times to experience all of these. 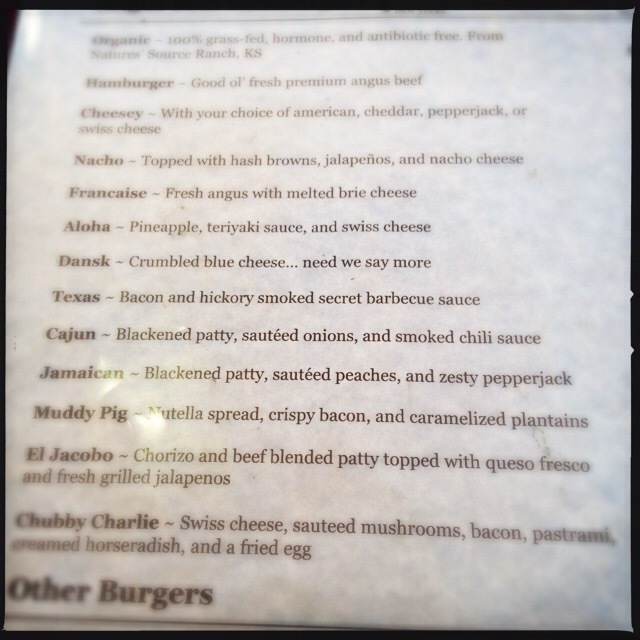 The Chubby Charlie especially has me drooling … especially if you follow Crazee Burger’s Instagram feed. And the El Jacobo? I love chorizo. The Texas?! I love BBQ sauce. And the cheeses … so many cheeses. So if you’re craving the perfect burger for whatever mood you’re in, head down to visit the new location at 30th and Lincoln. In addition to a bigger, and by all accounts, better spot, the new menus will have duck burgers and elk burgers. Be sure to let me know in the comments or on social media (Instagram, Twitter, Facebook) about your favorite Crazee Burger burger. Happy eating! This entry was posted in burgers, cooking, food, restaurant reviews, sponsored posts, Uncategorized and tagged Crazee Burger, exotic meats, restaurant review, sponsored post. Bookmark the permalink.